This Easy 5-Minute Gravy Recipe is perfect for turkey, chicken, or beef! It’s so flavorful and it’s foolproof too and perfect for a any meal. Gravy has always been sort of an enigma to me. I’ve never known the exact ratios of liquid and thickener or whether to use cornstarch or flour, stock or water…and end up just winging it and hoping for the best. I’ve come to realize as I’ve gotten older that gravy is the star of the meal. My husband could drink gravy, he loves it so much, and he drowns everything in it, so it’s important that it not only tastes good but is the perfect consistency. Growing up I never put gravy on anything, so it’s only recently I’ve been on the hunt for the perfect turkey gravy recipe for Thanksgiving, but also for a delicious all-purpose gravy that I can make for beef or chicken, or to dip French fries in (try it, you’ll never use ketchup again). THIS is the perfect recipe for all of those things; it’s the magical combination of liquid and fat and thickener that tastes so good and is perfect poured on everything. You can use this recipe for turkey gravy, for chicken or beef and it can be made with or without drippings. Basically it’s the PERFECT gravy recipe and it takes only 5 minutes to make! Not only am I excited to share this recipe with you because it tastes so good, but also because it comes from a new cookbook I’m very excited about. The Simple Kitchen by Donna and Chad Elick is full of quick and easy recipes for every day. Donna and Chad are the founders of The Slow Roasted Italian and are friends of mine. Their recipes are always delicious! I’ve made several of the recipes in their book and love every single one. The Simple Kitchen has recipes for every occasion, from slow cooker Basil-Pesto Chicken to one pot Chicken Broccoli Alfredo. 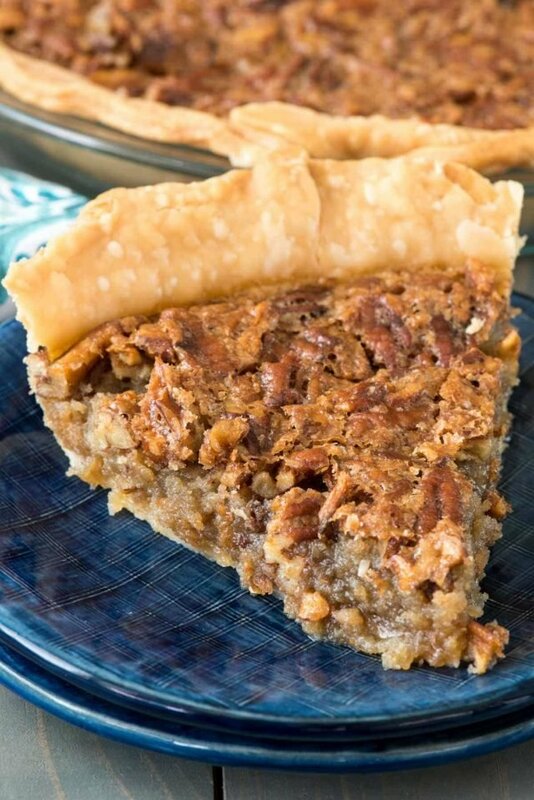 There are recipes for salsa (which is delicious, I made it) and sugar cookie icing (can’t wait to try it this holiday) and the most decadent looking peanut butter pie. 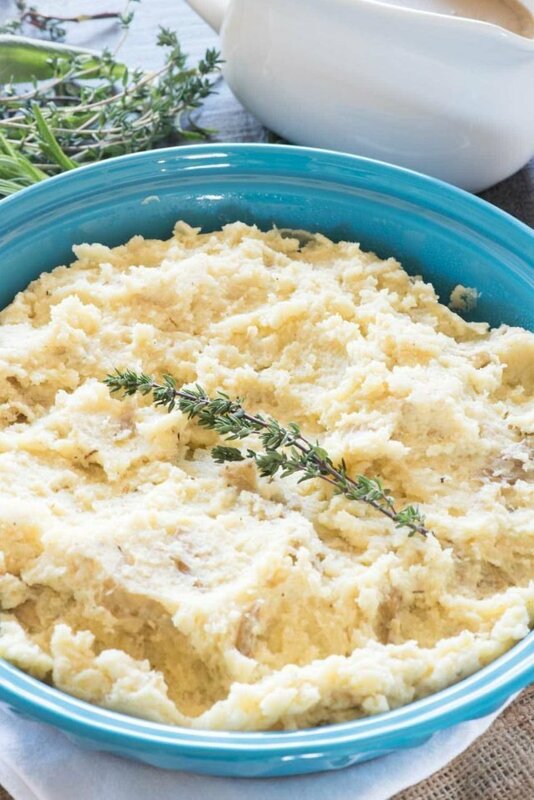 This gravy recipe comes from the Everyday Kitchen Essentials section which is full of recipes for things you use regularly but never have the recipes for, like Alfredo sauce, pesto, or taco seasoning. This is now my go-to gravy recipe. It’s so flavorful and easy that I plan to make it all the time! 5 Minute Gravy is such an easy recipe and perfect for turkey, chicken, or beef! I cannot wait to smoother EVERYTHING with this gravy. Mashed potatoes and turkey are one thing, but I can’t wait to make some homemade poutine with it. Or just serve it along side fries next time I make those…or figure out how to take some with me to McDonald’s, ha! This recipe calls for stock so make sure to use one that is a high quality. The more flavor the better! 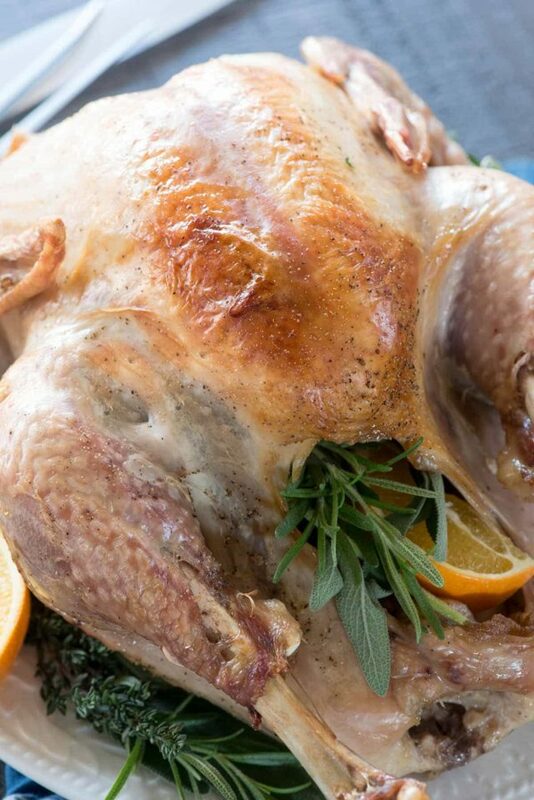 If you happen to be making a turkey or chicken that has drippings: strain it, remove the fat, and measure it with the stock to add tons of extra flavor. If you’re using stock and not drippings don’t skip the bouillon. But if you’re using drippings you can reduce it or omit it. It’s best to use unsalted butter, just because stock and drippings and bouillon often have lots of salt. Taste your end product to see if it needs extra salt or pepper. It really only takes 5 minutes. Don’t walk away from the stove; this gravy thickens fast! Saucepan – or you could do it in the roasting pan or pan you cook your meat in. Whisk to keep it smooth. A gravy boat for serving. 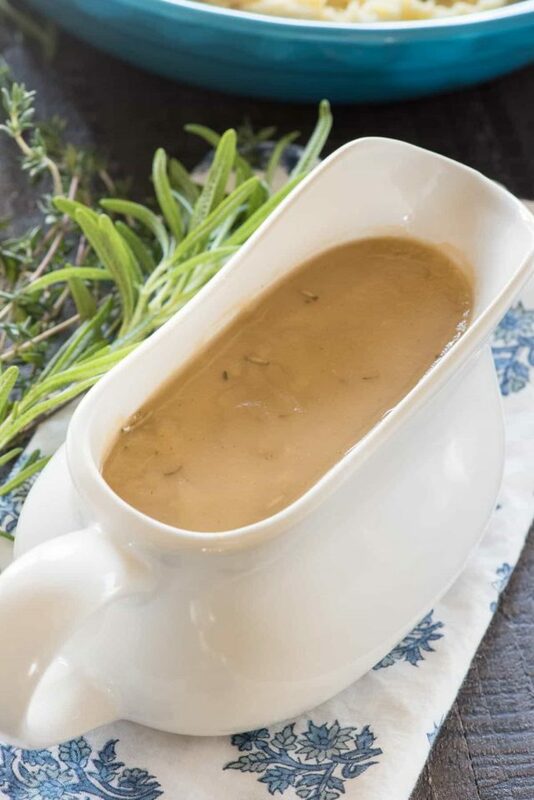 This Easy All Purpose 5-Minute Gravy recipe is perfect for turkey, chicken, or beef. 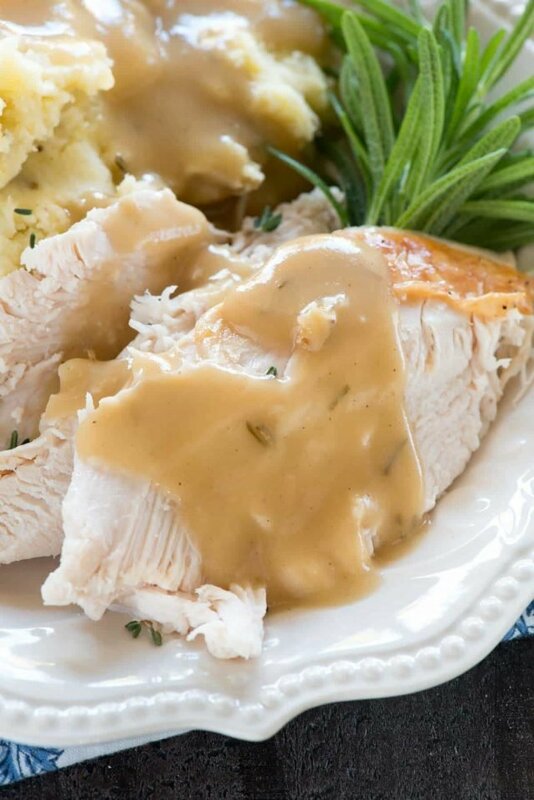 Use this method to make the most flavorful gravy ever! Combine the stock and the bouillon cubes in a microwave safe bowl or measuring cup. Heat for 1 minutes and stir. Repeat until bouillon is dissolved. Melt the butter in a saucepan over medium-high heat. Add the flour, onion powder, thyme, sage, and rosemary and cook for 1 minute to cook the flour. Slowly whisk in the stock until smooth and bring to a boil. Reduce to a simmer and cook, whisking, until smooth and thick, about 1 minute. Add salt and pepper to taste. Remove from heat and serve immediately. If you love gravy, you need to try it on Southwestern Crusted Roast Beef or this Oven Roasted Chicken with Lemon Rosemary Butter. I made some “Thanksgiving Meatballs” and thought that store bought gravy would fit the bill for the quick meal. Spoiler Alert: It sucked. I was intimidated to make gravy because I thought it required drippings and a ton of cooking experience. I found this recipe the and gave it a shot. It was just as fast and the leftovers are whole lot tastier than my first round! Thank you! When it comes to gravy, I’m agnostic; I can take it or leave it. I usually leave it. Modifications: having only vegetable stock on hand I used three chicken bouillon cubes. I used a non-dairy margarine. Because of a dearth of cookware I fixed the gravy first and set it aside. When the turkey breast was done, I added drippings and stirred. In short, the recipe delivered as advertised and can stand some individual idiosyncracies. 5 stars. My family loved this gravy. I’ve always had trouble making gravy from scratch and having it consistently taste good, so I’m very pleased to have found this. It tastes wonderful! I’ve been looking for a good gravy recipe for ages and tried yours tonight. It’s really good, and I think I’m finished with my quest. this was an excellent base gravy recipe. I substituted a couple of ingredients like better than bouillion garlic and braggs liquid aminos. Turned out perfect. Thanks. A smooth creamy taste.